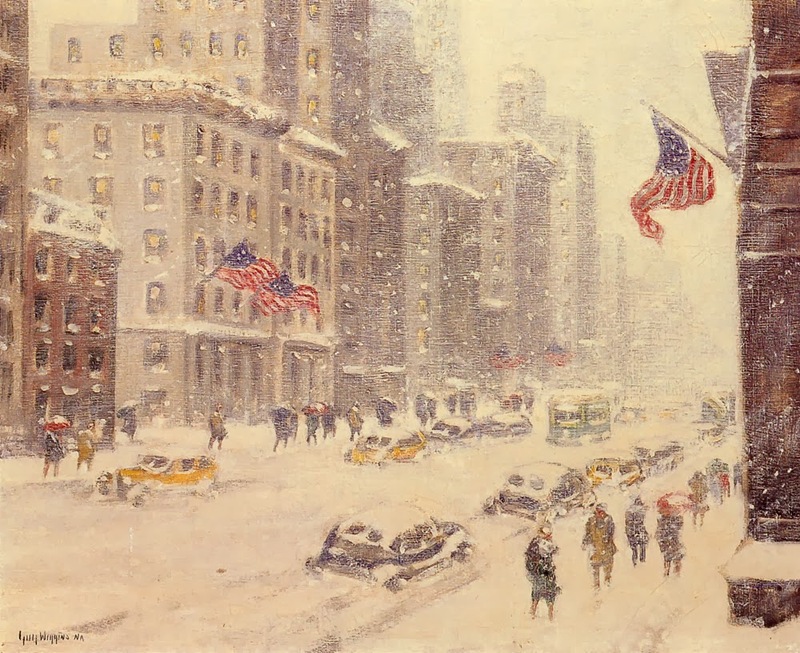 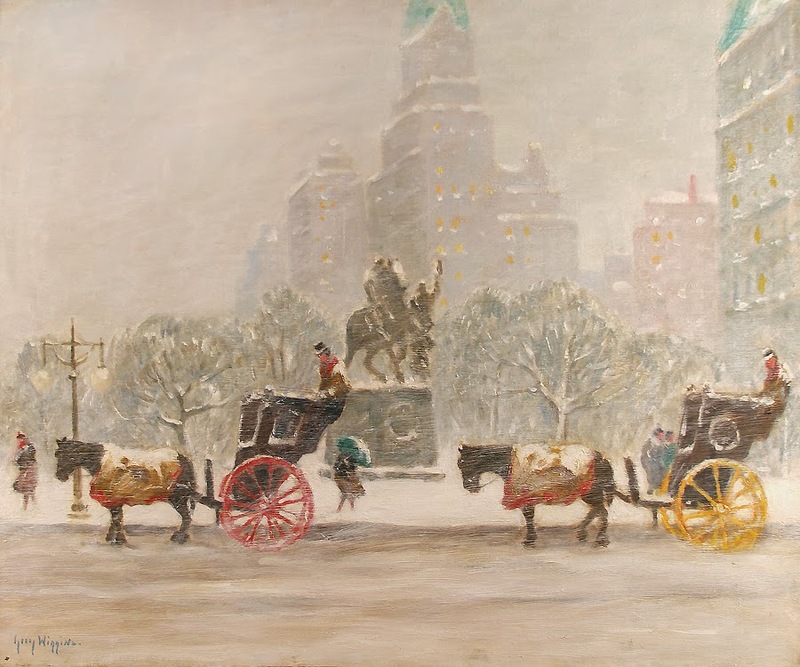 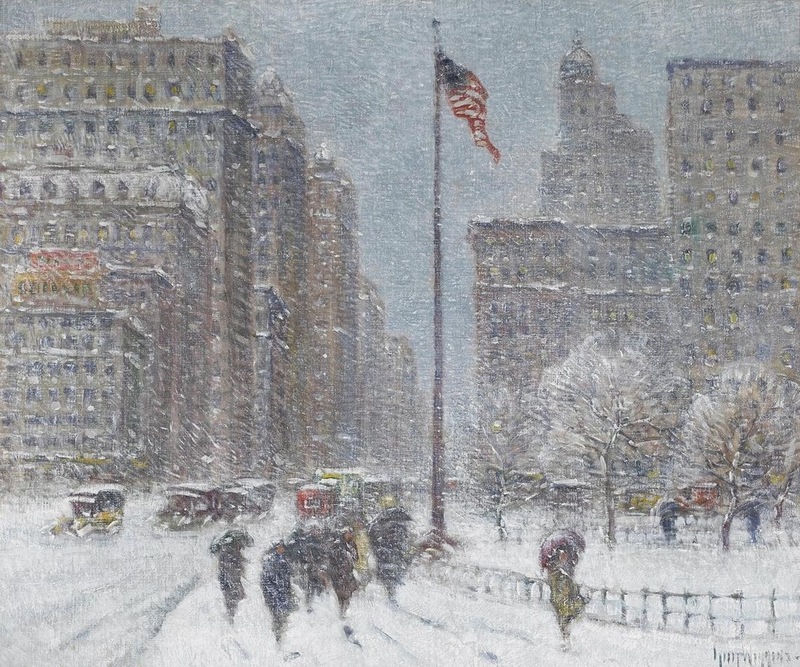 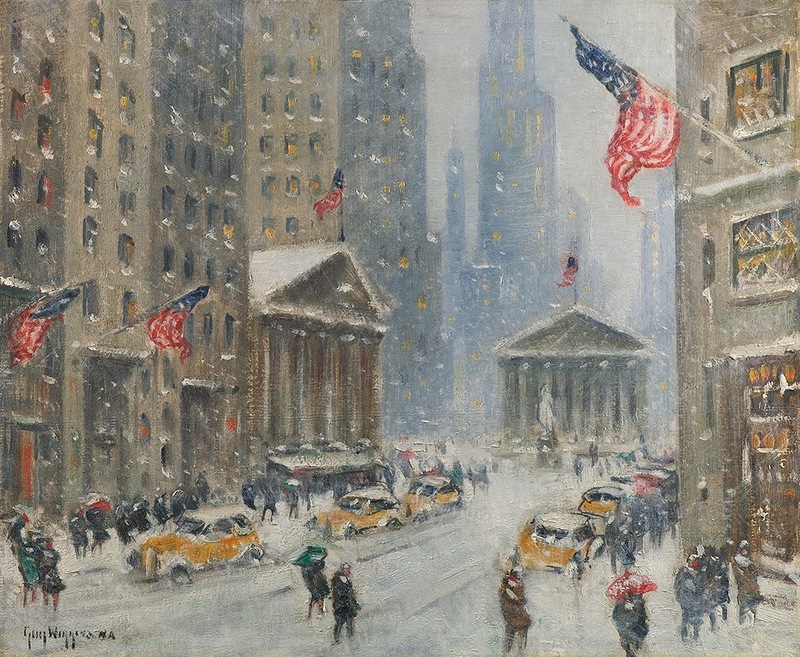 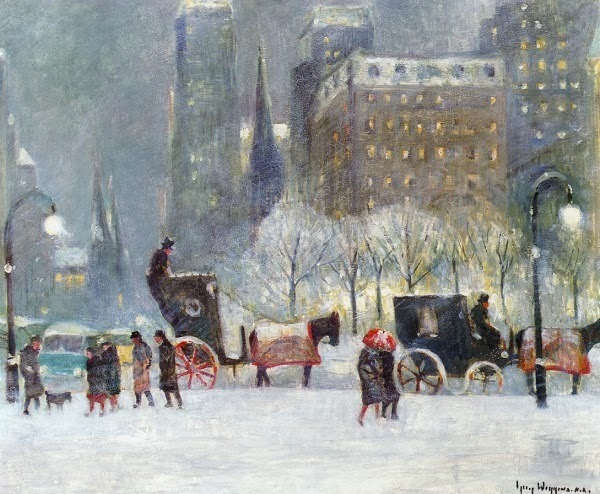 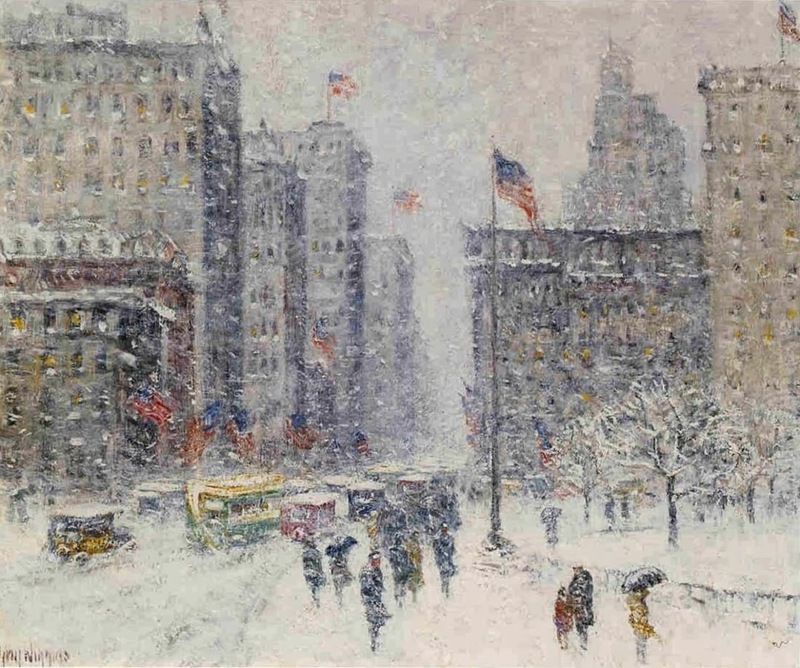 Guy Carleton Wiggins NA (1883-1962), the noted American Impressionist and one of the foremost artists affiliated with the art colony at Old Lyme, Connecticut, was born in Brooklyn, New York, in 1883. 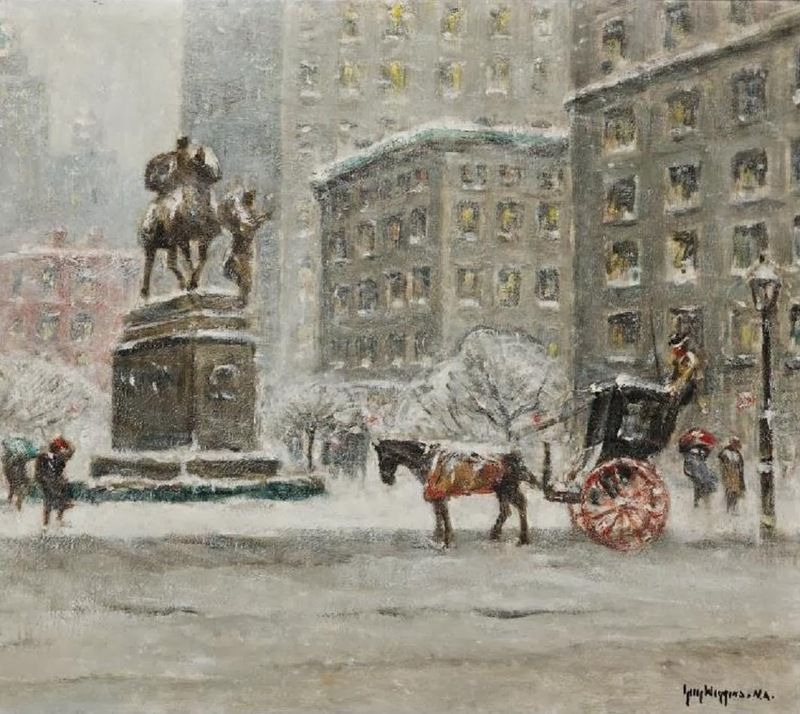 He was the son of Carleton Wiggins, a prominent painter associated with the American Barbizon School. 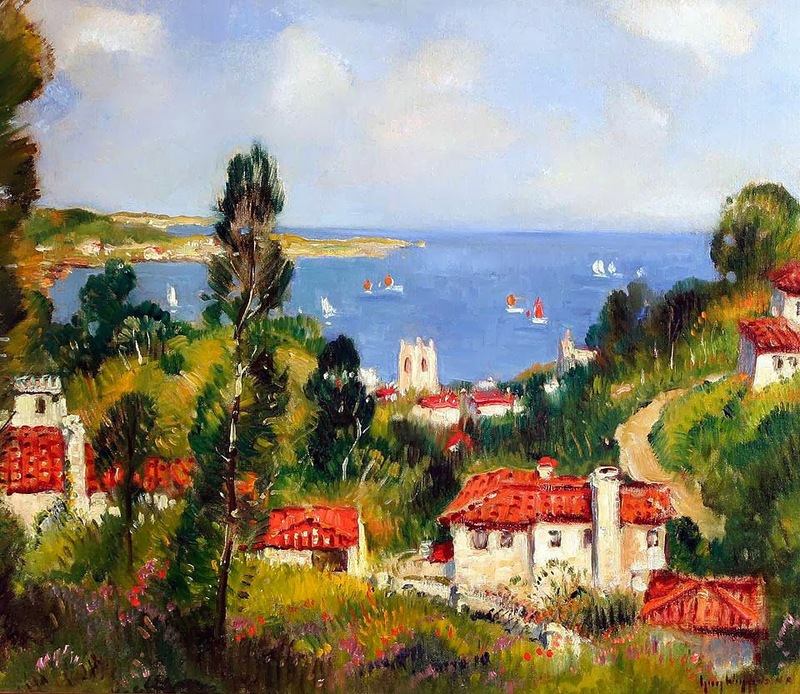 He spent the early years of his life in England where he received a grammar school education and traveled throughout Europe. 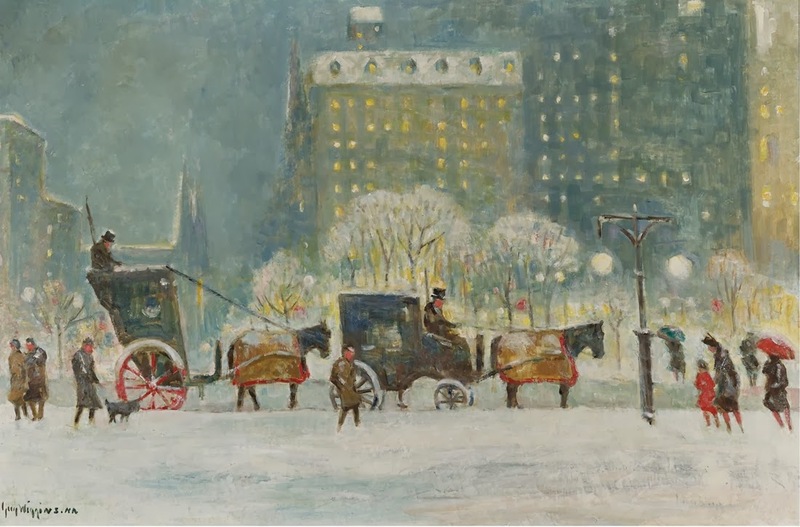 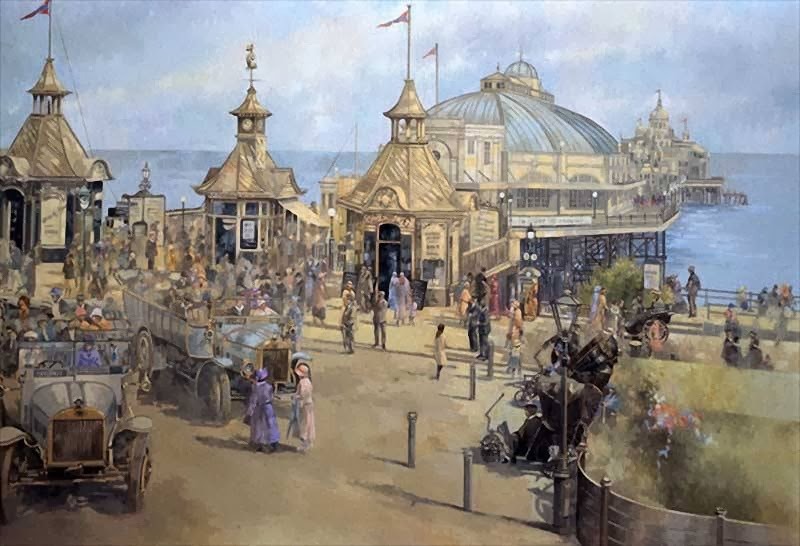 Following in his father's footsteps, Wiggins became interested in painting and drawing during his boyhood. 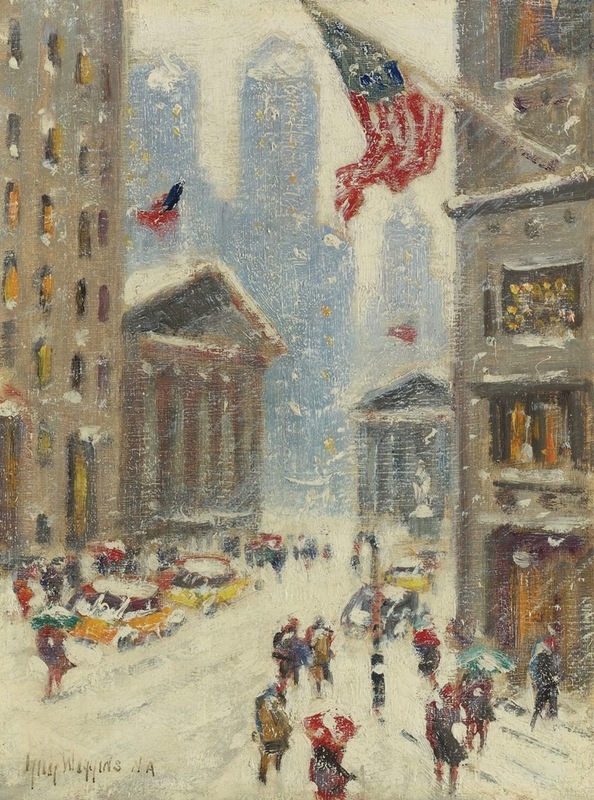 His creative and technical abilities were acknowledged at the age of eight, when various New York critics publicly praised a group of watercolors he had done in France and Holland. 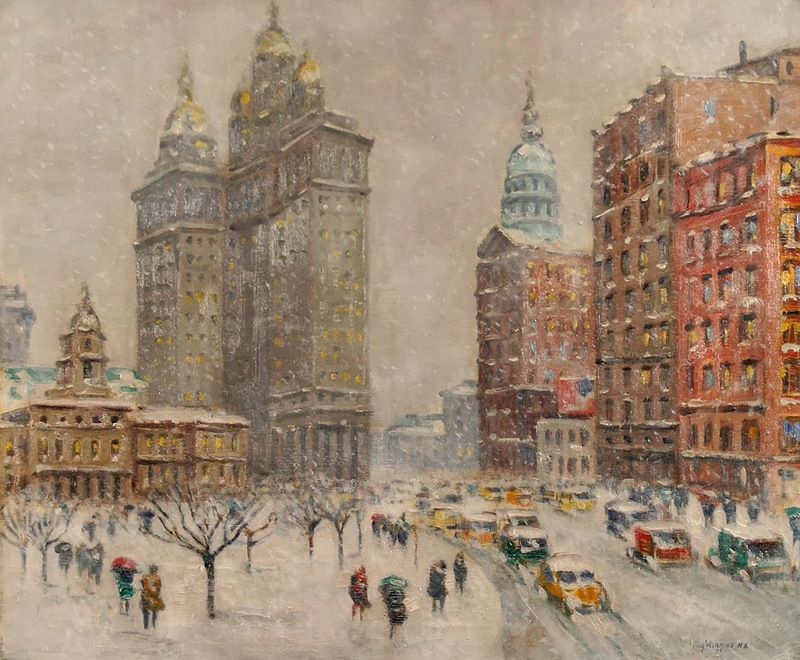 He received his first serious training in architectural draughtsmanship when he studied architecture at the Brooklyn Polytechnic Institute around 1900. 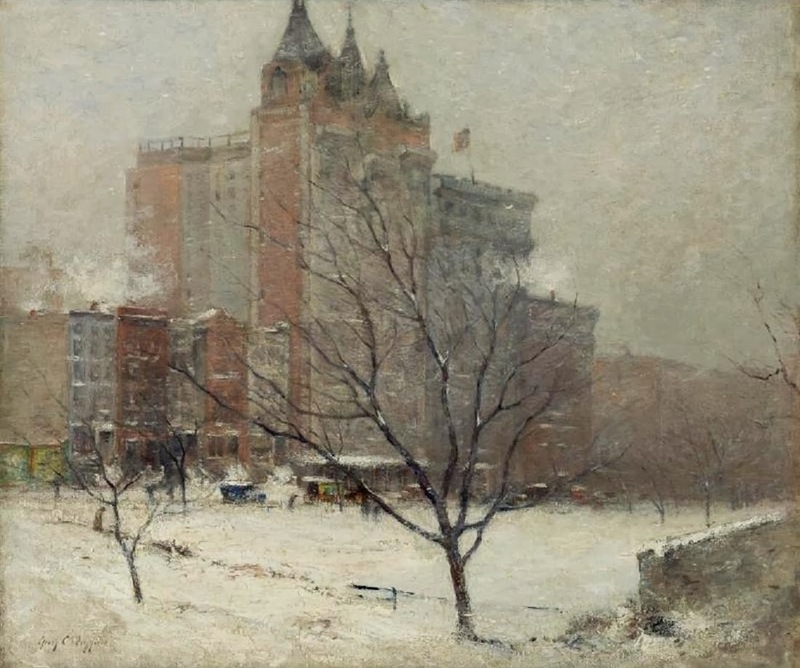 However his artistic inclination proved stronger and he went on to enroll at the National Academy of Design in New York where his teachers included William Merritt Chase and Robert Henri. 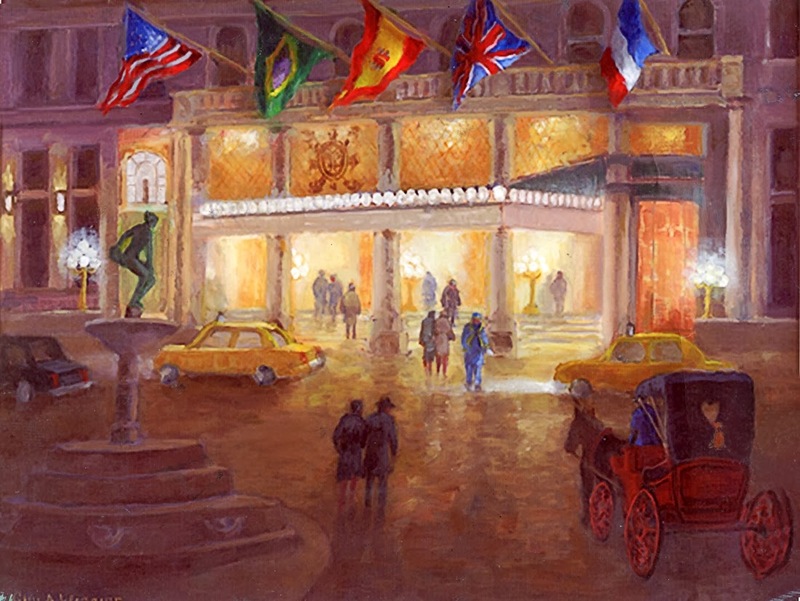 Recognition and critical acclaim soon followed. 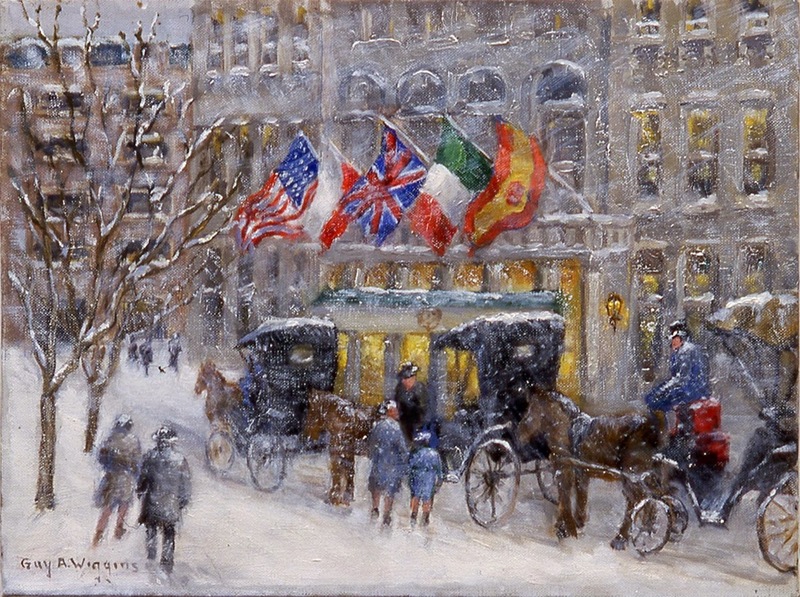 By the age of twenty, one of Wiggins' works had been purchased for the Permanent Collection of the Metropolitan Museum of Art. 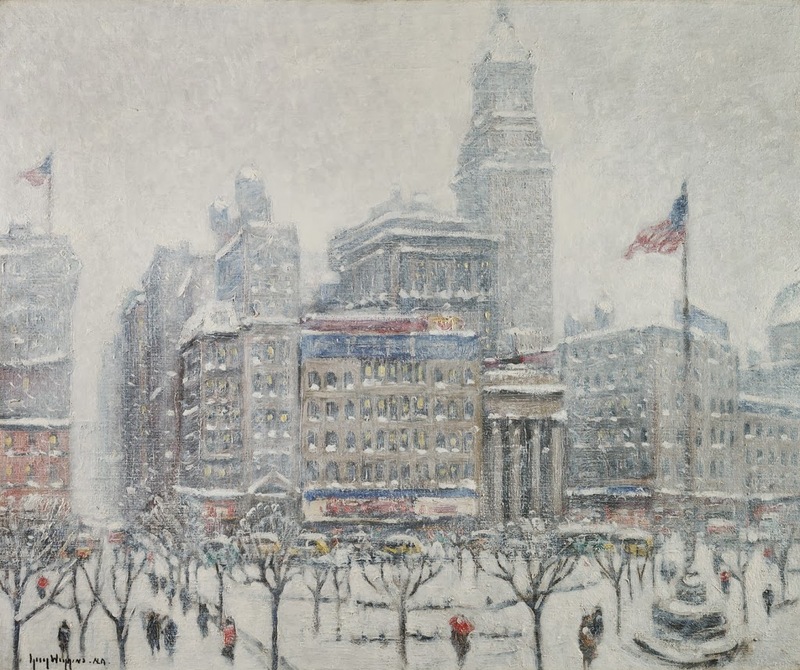 He received numerous awards* and prizes on a regular basis, including the prestigious Norman Wait Harris Bronze Medal from the Art Institute of Chicago in 1917. 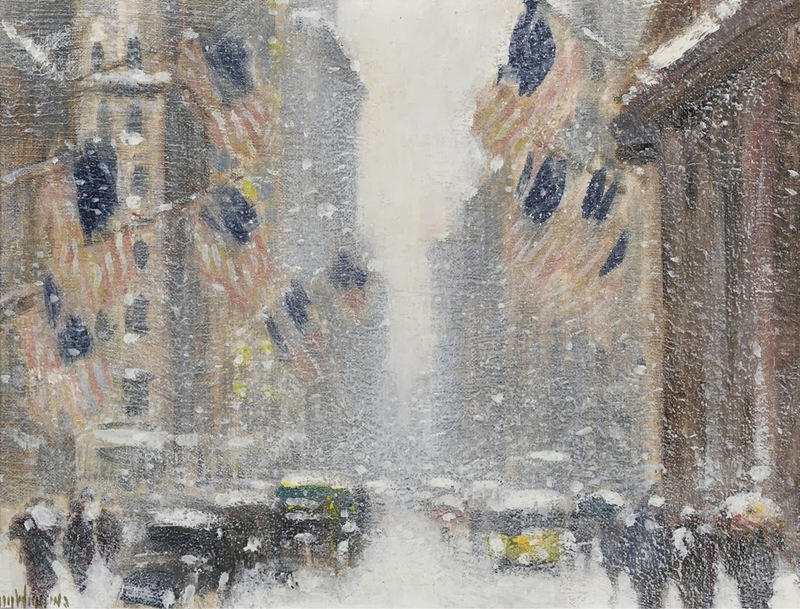 Two years later he was elected a full Academician of the National Academy. 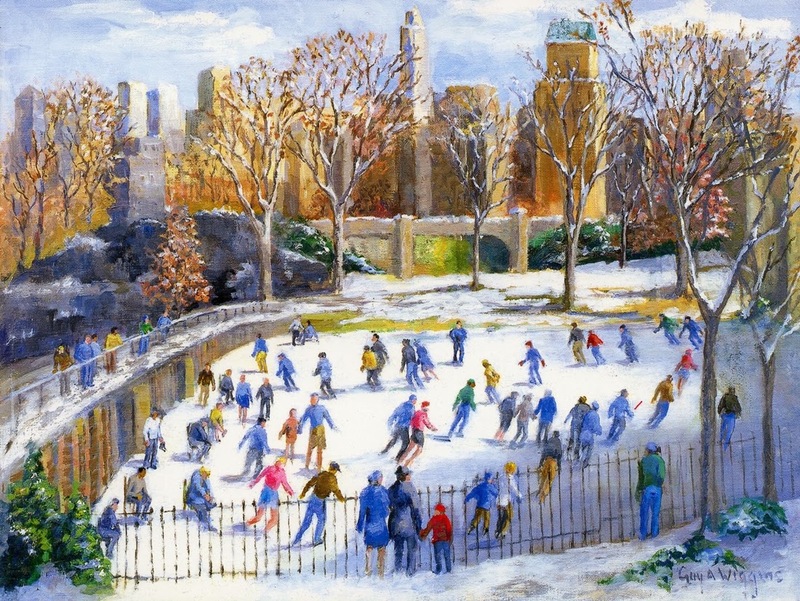 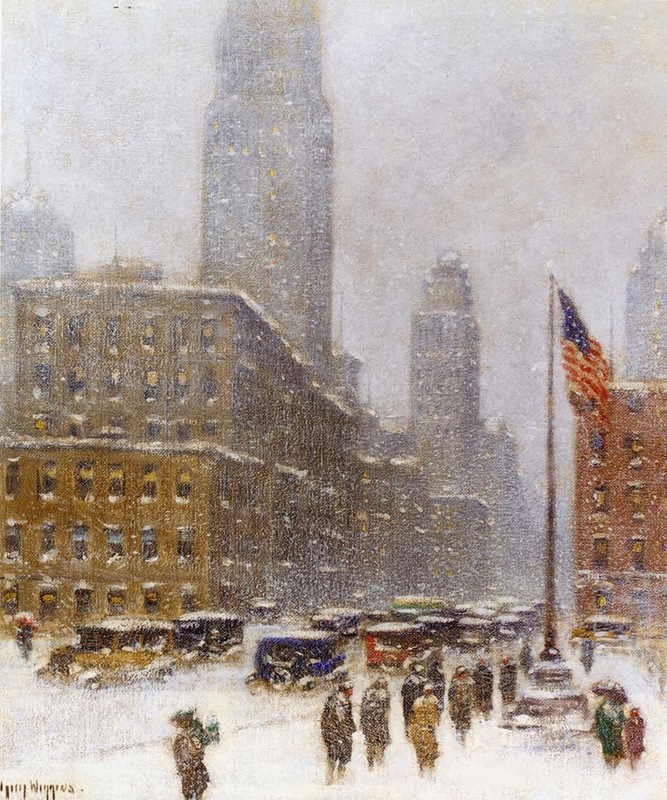 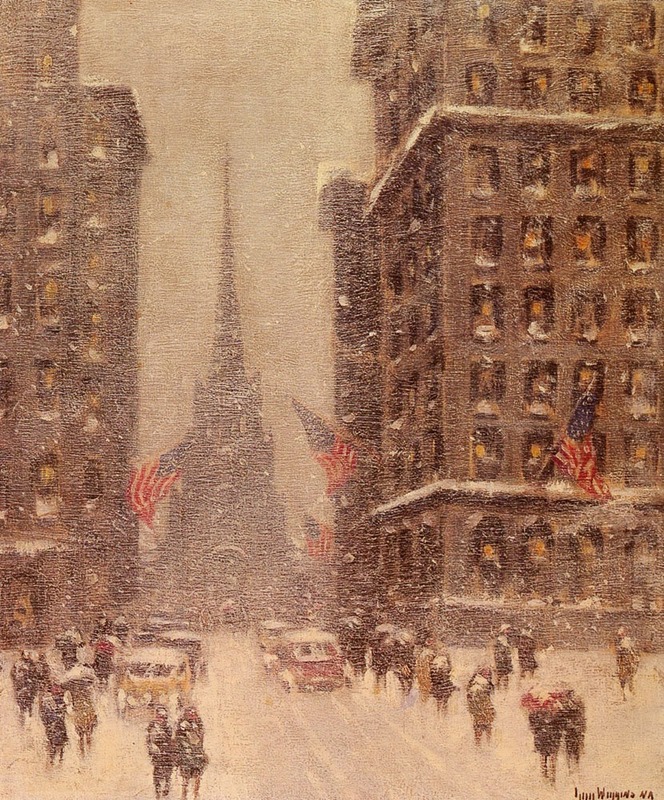 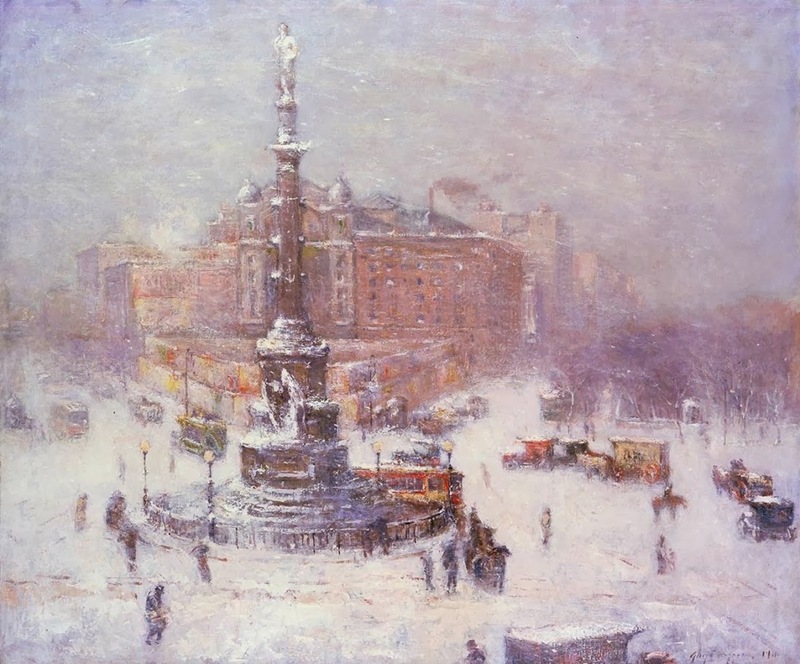 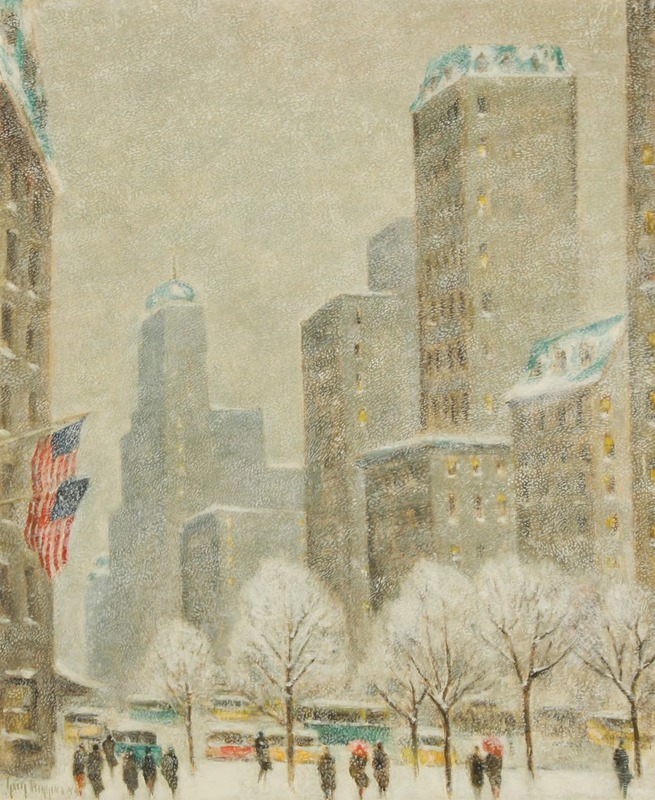 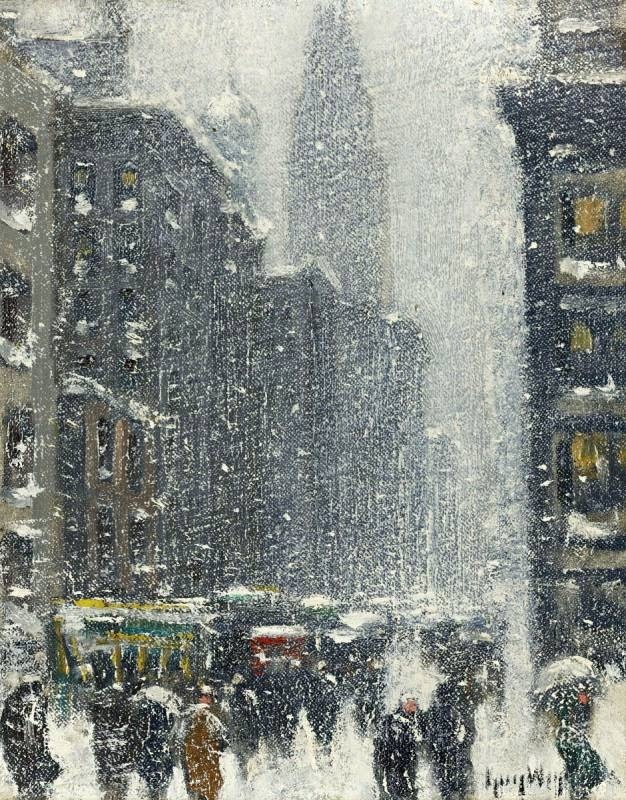 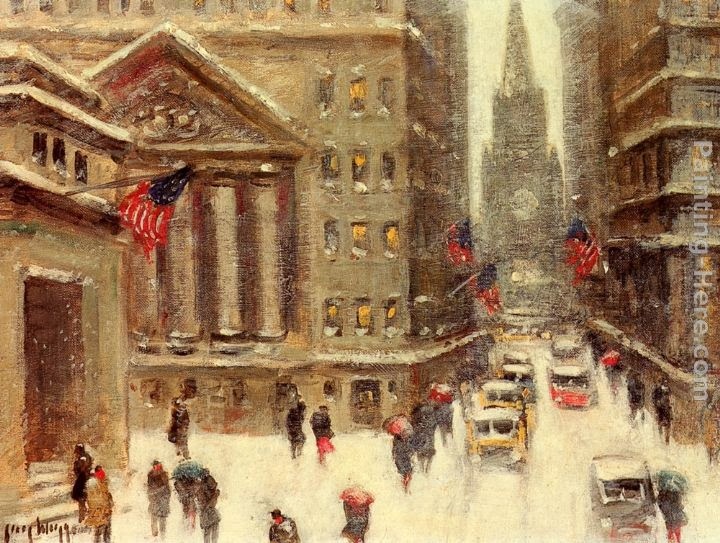 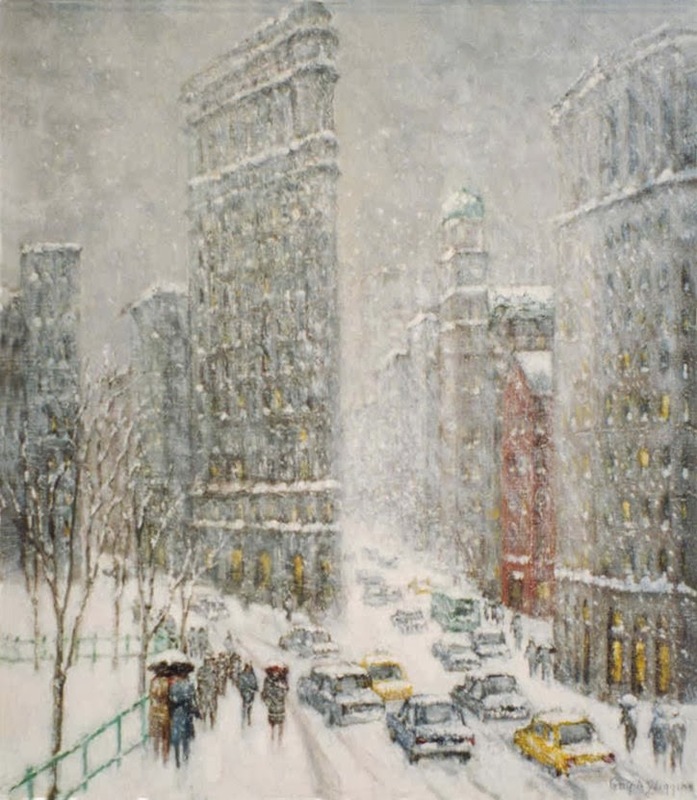 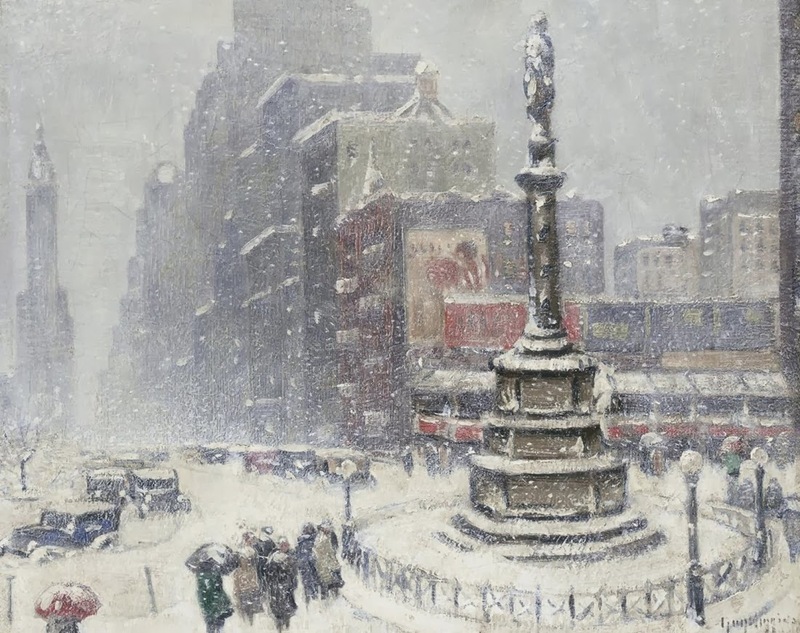 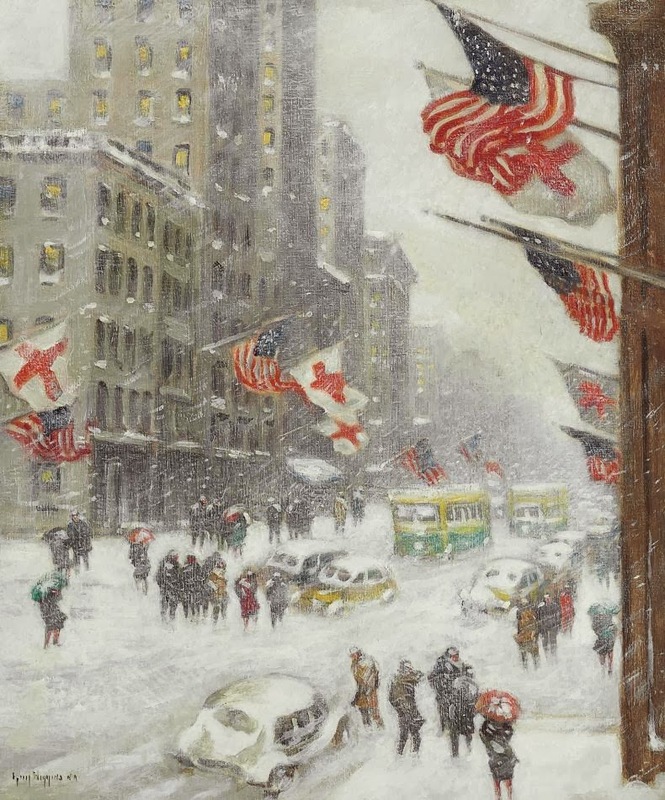 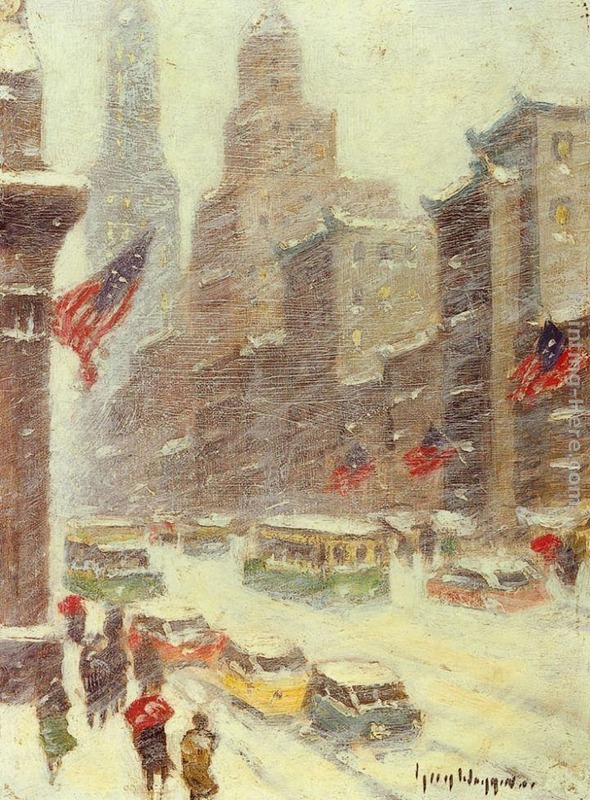 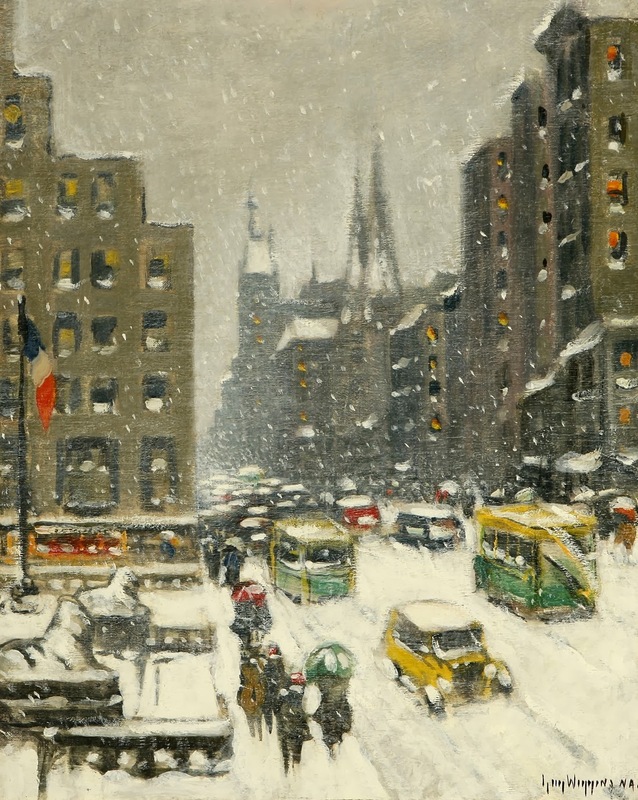 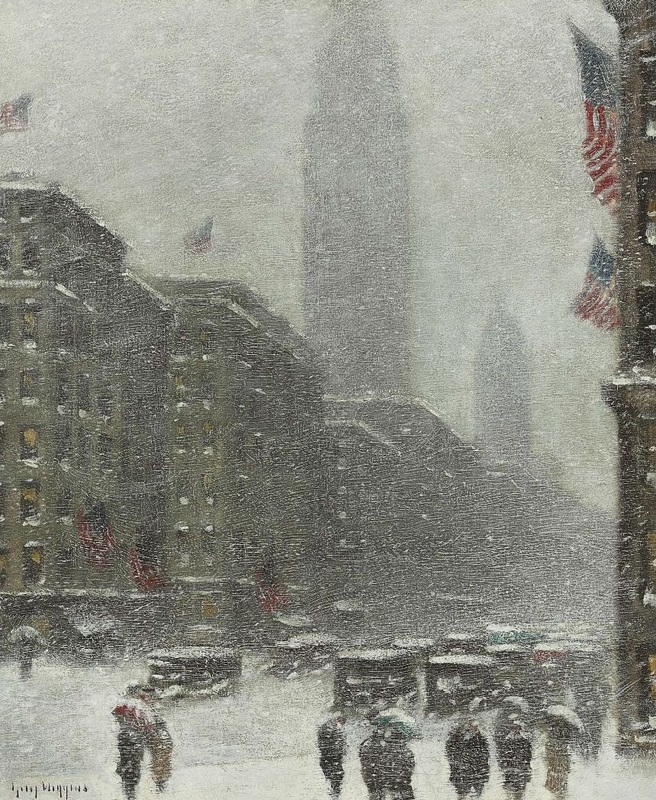 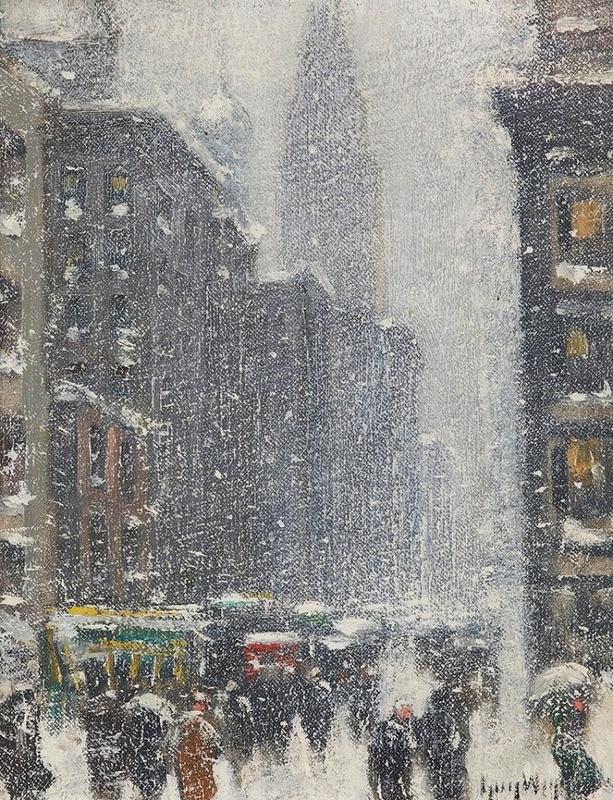 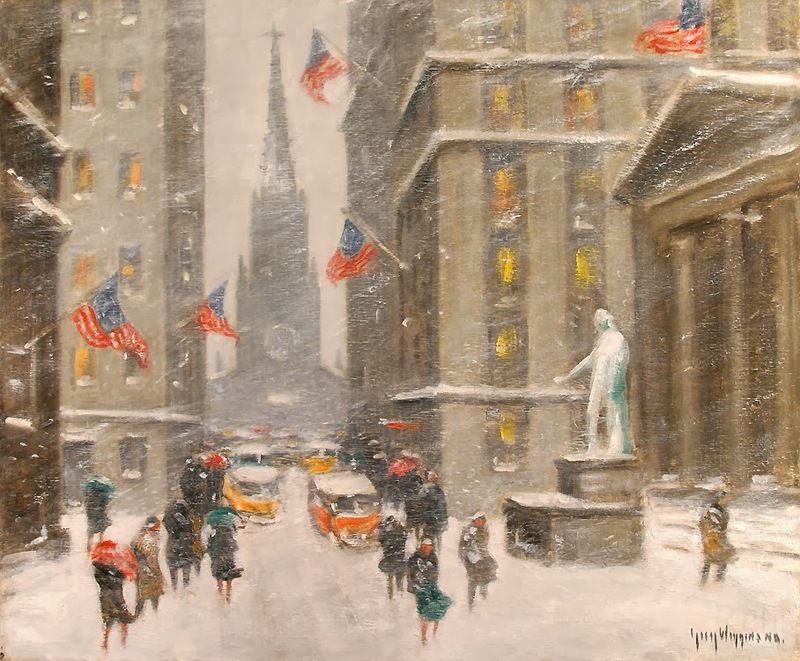 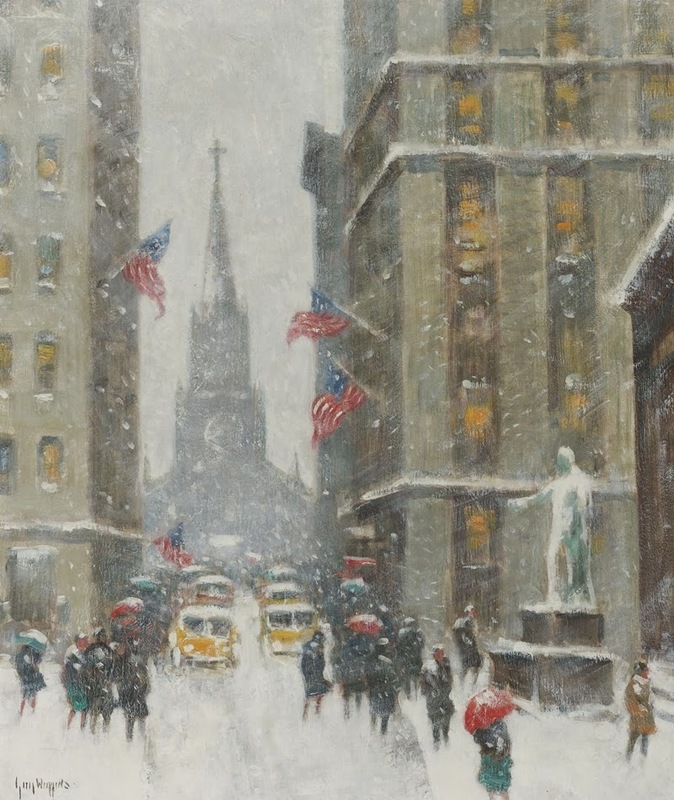 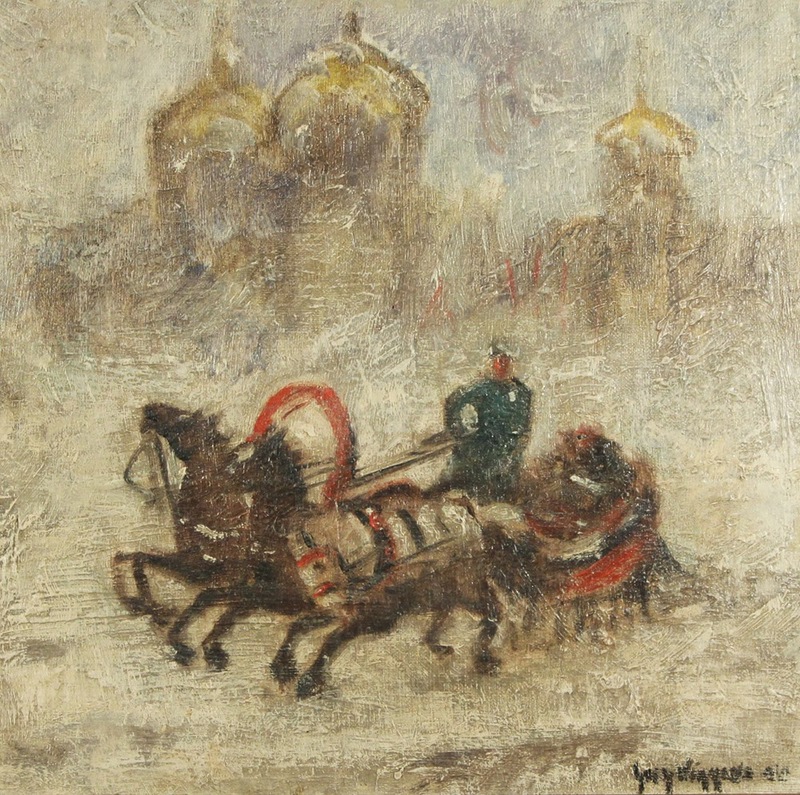 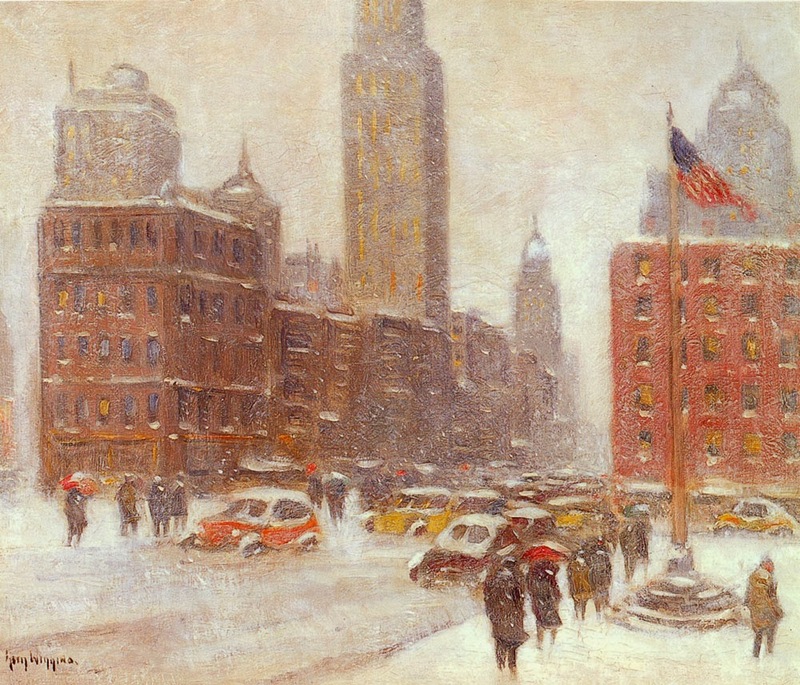 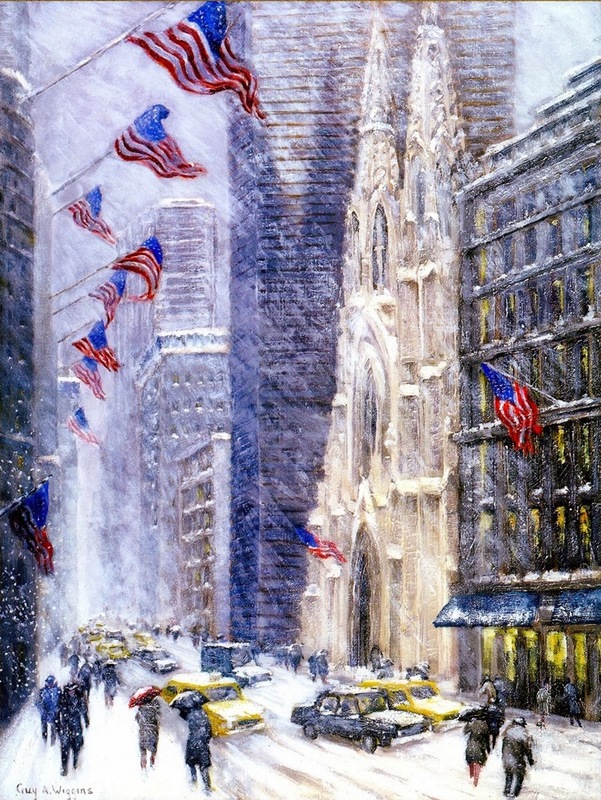 During these years, Wiggins spent most of his time in New York, where he specialized in urban snow scenes, often painted from the windows of Manhattan office buildings. 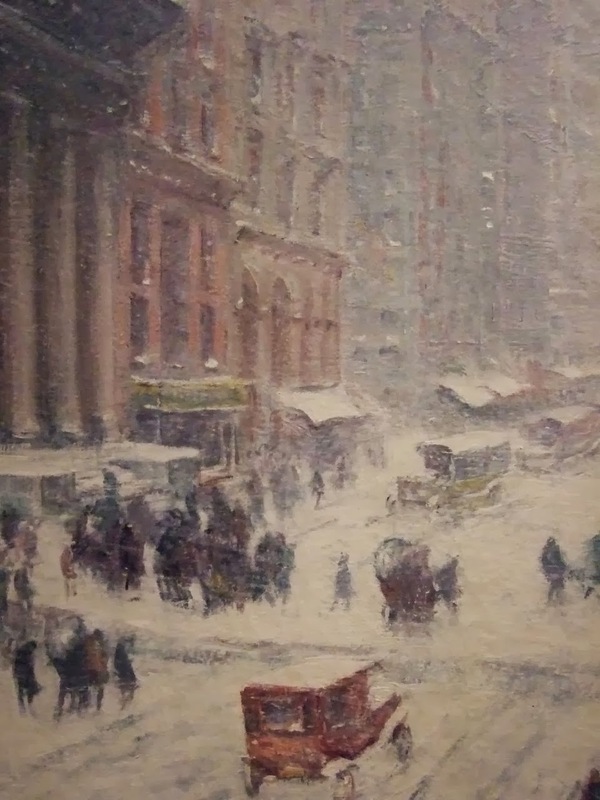 He also produced many landscapes in New England. 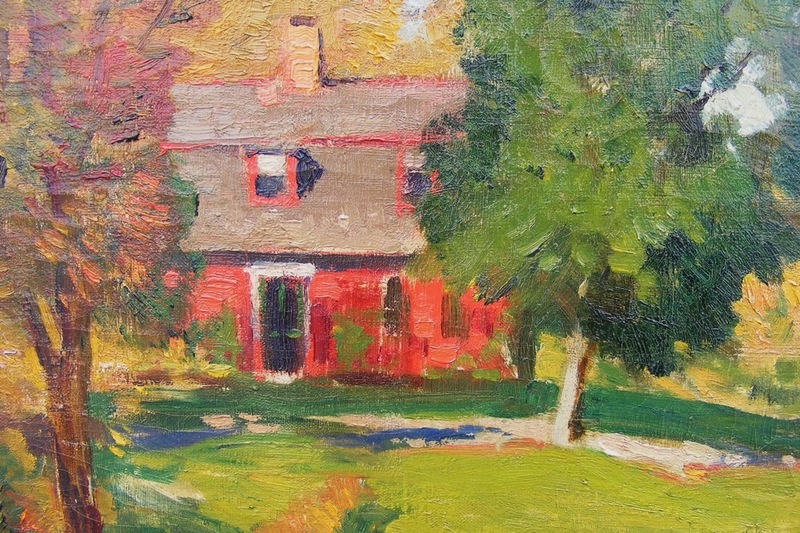 By 1920, however, he had moved to an old farm in Hamburg Cove, Connecticut, a picturesque area in Lyme Township. 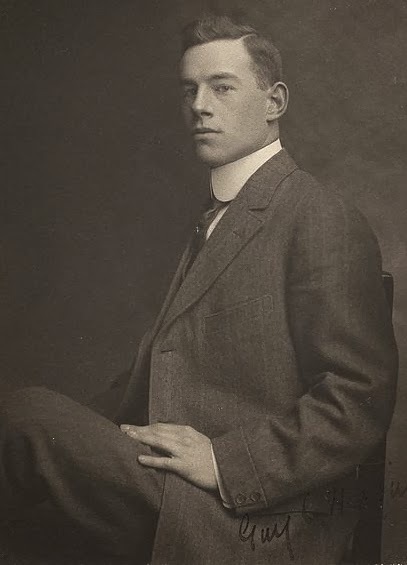 His father, a resident of Old Lyme since 1915, had introduced his son to the area during the early years of Wiggins' childhood, when the family made frequent trips to the colony. 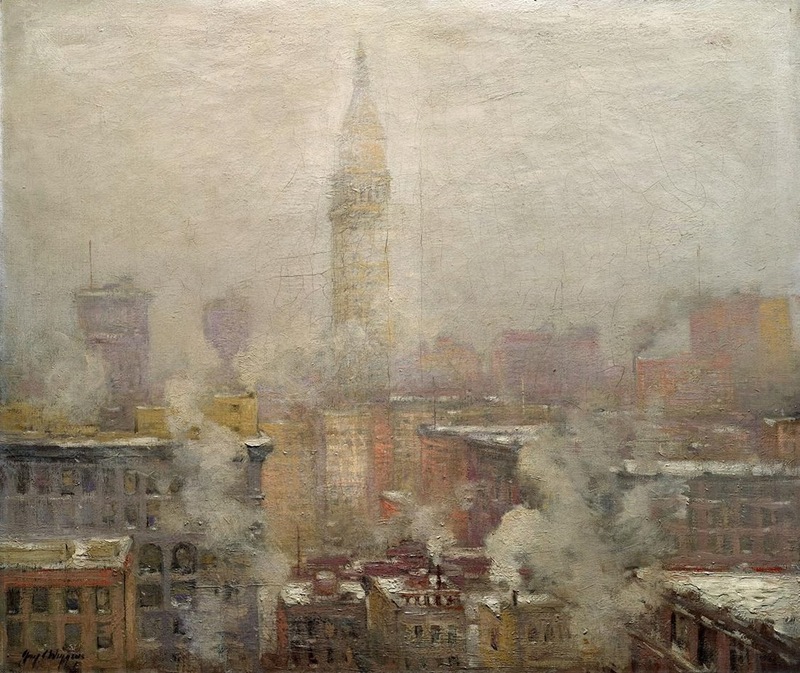 Wiggins had also spent various summers in Old Lyme while living in New York, establishing an early connection with the Connecticut Academy of Fine Arts. 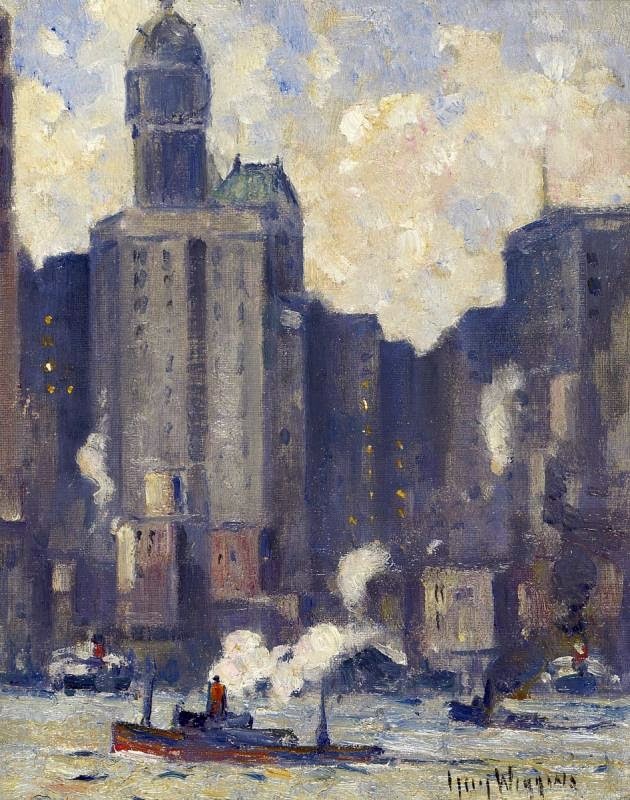 During the 1920's and 1930's Wiggins divided his time between Hamburg Cove and New York.